While many who are not business owners often fail to do any formal advance planning before actually approaching retirement, successful business owners are usually comfortable with the planning process as an integral component of their business operations. Integrating business and personal planning, however, is often overlooked. 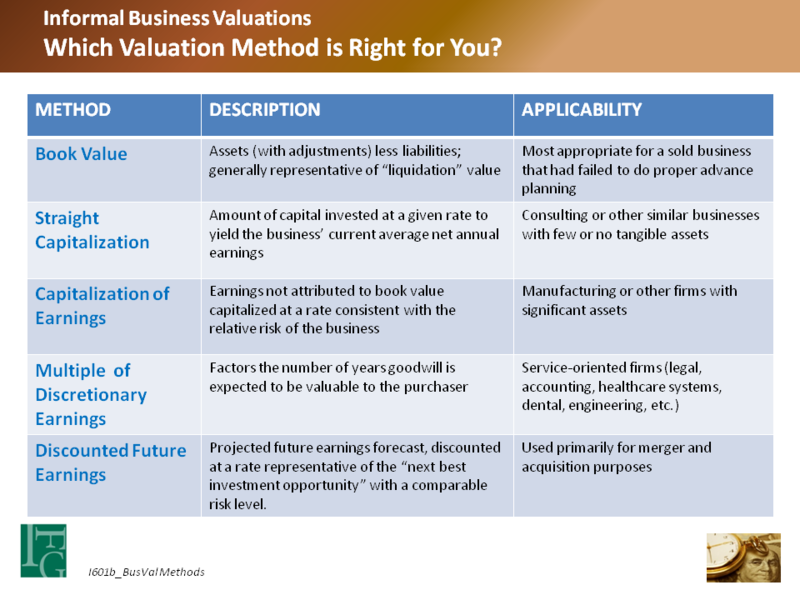 For example, how does a business expenditure impact the value of the business and how will that impact the owner’s retirement plans, access to credit and financing, or the valuation of the business for a future sale? You might check out our short report, What’s Your Business Worth? You can also obtain a sample valuation report by clicking below. If you’d like to schedule an introductory call with me, you can do that here. Copyright © 2014 Jim Lorenzen. All rights reserved.